^^Though a relatively new discipline, bioethics has generated extraordinary interest due to a number of socially pressing issues. Bioethics and the Christian Life places bioethics within the holistic context of the Christian life, both developing a general Christian approach to making bioethics decisions and addressing a number of specific, controversial areas of bioethics. ^^Clear, concise, and well-organized, the book is divided into three sections. The first lays the theological foundation for bioethics decision-making and discusses the importance of wisdom and virtue in working through these issues. The second section addresses beginning-of-life issues, such as abortion, stem-cell research, and infertility treatments. The third section covers end-of-life issues, such as living wills, accepting and refusing medical treatment, and treatment of patients in permanent vegetative states. 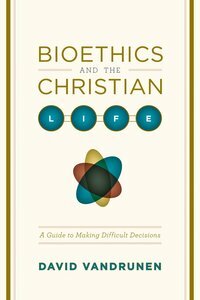 About "Bioethics and the Christian Life: A Guide to Making Difficult Decisions"